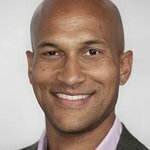 MPTF (Motion Picture & Television Fund) announced today that Emmy Award-winning producer, writer and actor Keegan-Michael Key will host their seventh annual “Reel Stories, Real Lives” event on Thursday, November 8. Taking place at the Directors Guild of America, the night will feature the industry’s best and brightest stars telling stories that highlight the extraordinary impact of MPTF on the entertainment community. The event’s Presenting Sponsor is Ford Motor Company with additional support from Delta Air Lines and City National Bank, an RBC Company. “Reel Stories, Real Lives is a wonderful opportunity to showcase the broad range of support MPTF provides to all members of the entertainment community by telling very personal stories, and in turn, sets the stage to discover the many ways we can help our unique community thrive in this unpredictable industry,” said Bob Beitcher, President and CEO of MPTF. Keegan-Michael Key is an Emmy and Peabody Award-winning actor, writer, and producer who currently can be seen in The Predator and Friends From College. He will next star in Disney’s live-action version of The Lion King and Netflix’s Dolemite Is My Name. Onstage, he appeared as Horatio in Hamlet and on Broadway in Steve Martin’s Meteor Shower. Key co-created and starred in the landmark sketch series Key & Peele. He was named one of TIME’s “Most Influential People” and ENTERTAINMENT WEEKLY’s “Entertainers of the Year.” Keegan-Michael Key is also a Second City alum who received his BFA from the University of Detroit-Mercy and MFA from The Pennsylvania State University. The evening is expected to draw approximately 500 industry leaders, and celebrity guests. 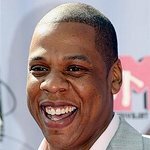 Last year’s participants included Matthew Broderick, Josh Hartnett, Chrissy Metz, Jessica Rothe, and Will Fetters, along with host Kumail Nanjiani. The event will be produced by Courtenay Valenti, Kevin McCormick, Cate Adams, and Tara Schuster. “Reel Stories, Real Lives” is open to members of the entertainment community. To inquire about the event or tickets, interested parties can reach out to rachel.davey@mptf.com.